NAIFA's Advisors Political Involvement Committee (APIC) oversees a database of thousands of insurance agents and financial advisors who have volunteered to be part of NAIFA's nationally-recognized legislative action team. When federal legislation hits a crucial point in the process on Capitol Hill, NAIFA activates its contact system. Agents and advisors around the country communicate NAIFA's message on Capitol Hill about issues that affect their livelihoods. This contact takes place in the form of letters, faxes, phone calls and face-to-face meetings in congressional districts and in Washington, DC. Your involvement in APIC assures that elected officials will hear your views on critical issues. By joining APIC, you will be on the legislative front line. If you know your member of Congress in the U.S. House or Senate, please let us know so we can add you to NAIFA's growing list of politically active agents! Click HERE for more information about APIC and to fill for a brief form about your relationship with your member of Congress and someone in the APIC Office at NAIFA will get in touch with you. New to the Business, Industry Leaders and Everyone in Between. NAIFA is the only organization serving and representing insurance and financial advisors regardless of the products they sell or the focus of their practice. NAIFA is your professional association, and its focus is to help protect your business, help you grow your business and promote ethical business conduct. 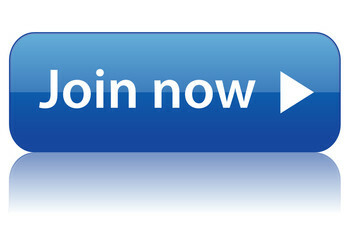 Join now by clicking here, calling 1-877-866-2432 or download the NAIFA membership application (PDF). Your company might help pay NAIFA dues! Many of the industry's leading companies support NAIFA membership by contributing towards dues payments and facilitating payments. Click here for a list. For a list of 2017 NAIFA dues, click here (PDF).